I always want something new. Always. I am never satisfied. So every Wednesday, I will share some of the things I am obsessing about. P.S. Feel free to send them all my way. I’m craving boxing lessons to get in to sample size shape, and also because I think the Alexander Wang for H&M (the launch is tomorrow: are you going?) boxing gloves and gym get ups would look butch-chic in Instagram photos of myself knocking out some tattooed trainer in Williamsburg. So, the Karl Lagerfeld for Louis Vuitton punching bag and traveling trunk and accessories are really must-haves. For the Paris home gym I don’t have but surely will one day. What else am I going to spend $175,000 on anyway? Speaking of Paris, my favorite shop Colette has been celebrating Pharrell all week. I absolutely adore Pharrell and his crazy Vivienne Westwood hats, Chanel chains, and crystal covered Adidas Stan Smiths. The best of all the Pharrell stuff being sold? The Pharrell for Laduree macarons in “Americana” flavors like Cola and peanut butter. 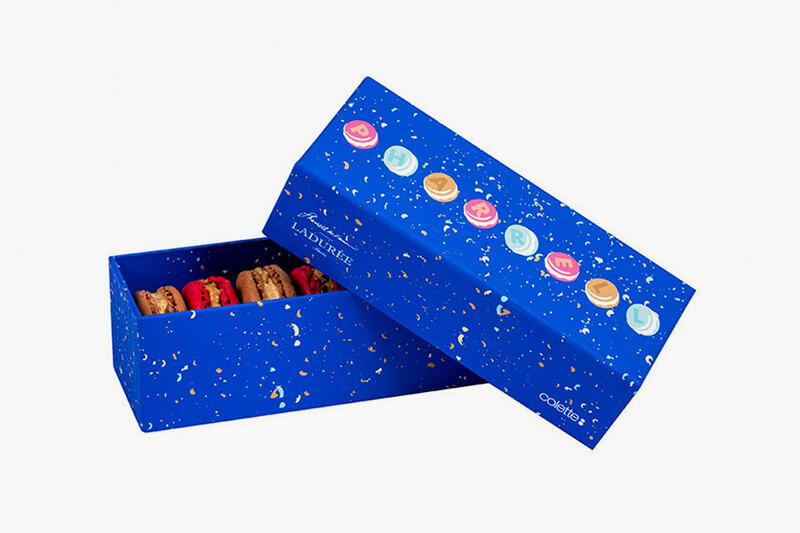 Available exclusively chez Colette, six macarons costs €17 and will make you gain 17 pounds. So just give away the cookies and keep the cute cosmic box to store necessities like your Chanel chains. It’s forever about designer collabs. My pal, the global style icon Nick Wooster, is teaming up with Greats (my favorite sneaker brand) on another slip-on shoe. I already have the “Wooster” Greats in silver and gold, and now I’ll be scoring wool versions. Handcrafted in Italy, it’s like wearing a luxe, chunky sweater on your feet. 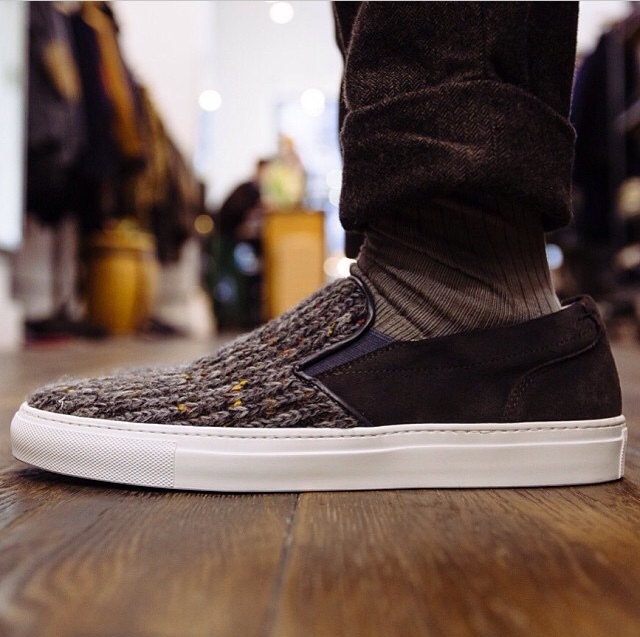 Greats only sells online and stuff goes fast, so get ready to order in a few weeks. Another cool collaboration is the Moncler Leica X 113. Last year, I impulse-bought a serious-looking and ultimately too confusing Leica when I decided one morning that I would become a street style photographer. I’ve never taken a photo. But maybe I can become the next Tommy Ton with this flashy camera. Or maybe I will just buy it and wear it around my neck so Tommy will snap my photo outside the Thom Browne show.